You are currently browsing the tag archive for the ‘corporatism’ tag. What Do Conservatives and Fascist Dictators Have in Common? It’s become part of our lexicon: islamo-fascism. We hear the term used everywhere in the political sphere by Right Wing radio talkers, cable news pundits and even our President. It’s a term that’s been useful for drumming up blind patriotism, religious intolerance, the War on Terror, and all kinds of blatant fear-mongering, bigotry and cultural conflict. But as it is for many of the handy pieces of rhetoric used by conservatives, it’s also an ironically-shaped, deceitful misnomer. For those that use the term, it basically displays a complete ignorance about the meaning of the words involved. In other words, for anyone who knows the origins of the term, ‘fascism’, they know that it doesn’t have much to do with what Islamic terrorist groups are preaching. In fact, the term much more closely resembles the philosophy of the conservative movement and the principles being applied by the Bush-Cheney-Rove Administration than it does with religious-inspired terrorism. The use of the term, therefore, is either hilariously ironic or otherwise frightfully ignorant. Granted that the 19th century was the century of socialism, liberalism, democracy, this does not mean that the 20th century must also be the century of socialism, liberalism, democracy. Political doctrines pass; nations remain. We are free to believe that this is the century of authority, a century tending to the “right”, a Fascist century. Fervent nationalism/patriotism: thus the irony of drumming up patriotism with a term like islamo-fascism. 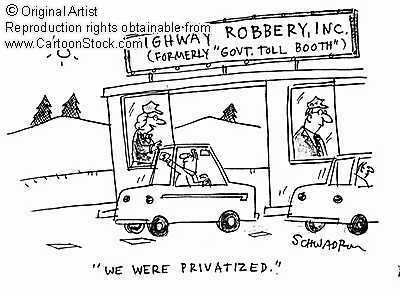 Government agencies run like businesses: privatization and corporate control of our public programs. Large corporations successfully lobbying Governments: lobbyists freely roam the halls of Congress and usually write our legislation themselves. The rich get richer and the poor get poorer: tax cuts to the rich, under the mythical banner of the repeated failings of ‘trickle-down economics’. Favours given to campaign contributors: John McCain’s recent support of offshore drilling has been sharply correlated to a fourfold increase in campaign contributions from Big Oil. Let’s face it, the marriage of big business to the government, the mantra of ‘privatizing’ our government, a call for American patriotism in the face of an unjust war (and the demonization of ‘liberalism’, another fascist strategy): these are all talking points straight from both the conservative playbook, and Mussolini’s. Don’t believe me? Several of John McCain’s top economic and campaign advisors are former lobbyists for the Oil and Pharmaceutical companies. Ed Gillespie, former RNC chairman, was a lobbyist for Enron. The also ironically titled Patriot Act, which does nothing more than strip away the civil liberties that the real patriots which founded our nation fought and died for, undermines our constitution and is one of many ploys to give excessive power to the Executive Branch. There’s the conservative attack on Habeas Corpus. The list goes on and on. On the political spectrum, these are all traits and trends which steer toward text-book fascism, and which directly oppose and steer away from democracy. Our nation was built to be a representative democracy. If there is anything which is blatantly un-American, it is the fascist-oriented bent of the conservative, right-wing movement. There’s nothing American about conservative thought whatsoever. How, then, do conservative talkers, right wing pundits and the Republican Party get away with making claims about what is or what isn’t truly American or patriotic? Unfortunately, it’s probably because the American people themselves have forgotten what it is that makes them truly American. The first truth is that the liberty of a democracy is not safe if the people tolerate the growth of private power to a point where it becomes stronger than their democratic state itself. That, in its essence, is fascism–ownership of government by an individual, by a group, or by any other controlling private power. Saying all of this is not to excuse the vile tactics and political motives of radical religious terrorists, whether they be inspired through the warped fury of Islam, or any other religious fervor. But if we are going to reserve the term, ‘fascism’, to describe anything, it certainly seems to apply far better to the current Bush administration’s policies and the un-American conservative think-tanks which are slowly but surely stripping away our democracy and replacing it with a totalitarian corporatism, the likes of which we haven’t seen since Mussolini. Thus, when you hear those conservative pundits or cable news anchors warning about the ‘islamo-fascist’ threats to our nation, be careful not to react by becoming devoted to the wrong banner in response. We all think we know the story of the Boston Tea Party. The tale has an almost fairy-tale quality, told as if it were read from a children’s book. For this author, the memory of the story seems ingrained; The memory goes back as far as any memory concerning our nation’s history. I suspect the story I recall is pretty much the standard version. Early American patriots, aggravated at rising taxes on tea levied against them by the British, dressed up like Native Americans and stormed Boston harbor on one dark night and dumped a bunch of tea into the sea in protest. The story is easy enough to accept. After all, it molds perfectly with so many of the notions we readily come to associate with American patriotism. What could be more fundamentally American than hating taxes? Right? The standard version of the story is partly true. It was certainly correct that rising taxes were generating tension between the colonies and the British, particularly the taxes issued by the Stamp Act and Townshend Acts (which did, to be fair, include a tax on tea imports). But it wasn’t the taxes themselves that irked the American colonists so much as being taxed without representation. Furthermore, the real catalysis for the Tea Party– the proverbial last straw– was the Tea Act of 1773, which wasn’t a tax increase at all. Rather, it was a monumental tax cut. In fact, it was a monumental corporate tax cut. I’ll say it again for the sake of resonance: The Boston Tea Party– one of the most fundamental events leading to America’s origin– was really a rebellion against cutting taxes for big business; it wasn’t about a tax increase. More specifically, the Tea Act of 1773 was practically a corporate bail out. The British East India Company was the principle lobby and sole beneficiary of the tax cut, which allowed the Company to transport its cargo of tea so cheaply that local colonial merchants were basically put out of business. The East India Company was a virtual monopoly on the transport of goods to the colonies; and the power of its lobby was at least equivalent to the lobbying power of modern day Big Oil, or the pharmaceutical companies, or other major corporate interests we’re more familiar with today. Thus, I’m saddened to reveal: most of us don’t know the real story of the Boston Tea Party. As it turns out, what’s really fundamental about being an American is not so much a hatred of taxes (though we don’t have to like them, either) as it is a hatred of corporatism, corporate cronyism in our government, and tax policies which benefit the rich and powerful over the Everyman, or the local American. Early American patriots were inspired toward their exceptional act of independence primarily in resistance to their lack of representation in contrast to the power of a big business lobby. If the truth about the Boston Tea Party were to properly represent for modern America what it meant to our founding fathers, it ought to be more readily obvious just how shamefully un-American the current political climate has become. The expense on the American taxpayer for corporate welfare, often paid in the form of massive subsidies or grants to giant companies like Enron, Boeing, Halliburton, Mobil Oil, General Motors, IBM, Dow Chemical, or General Electric, now exceeds what we pay for most of our more local needs like housing or health care (not to mention that most of the money for corporate welfare is pilfered directly from the Social Security fund). Which, ultimately, lends to the deepest national debt in our nation’s history, which further confounds the dilemmas faced by middle class Americans, such as the falling value of the dollar and the outsourcing of our jobs. Subsidies given primarily to large agribusiness farming factories, due to their powerful lobby and cycle of rhetoric and misinformation, are a good example of how America has forgotten what it stands for. Billed to the American public as policy to help the farmer, the truth is that only the few largest agribusinesses get the government-issued financial advantages, leaving local and small-scale farmers– most American farmers– out of business. Perhaps even scarier is the way the current economic policies and rhetoric of the neo-conservative movement, fostered further by the puppeted, corporate lead of the Bush administration and its predecessors (I primarily mean the multifarious incompetencies of the Reagan administration here), have become the symbolic equivalent of the corrupt British crown, which those Sons of Liberty stood against as they stormed the decks of those East India tea-transporting ships that one dark night long ago in Boston Harbor (it wasn’t that long ago, was it?). Such corporate cronyism is not just un-American. It is fundamentally what Americans fought and died to oppose. It was opposition to these villainous policies (the same policies which we see primarily extolled by cronies on the Right today) which spawned the Boston Tea Party, and our Declaration of Independence. I’m afraid the truth about the Boston Tea Party has been mostly forgotten or mistold. But it is in the spirit of the Tea Party, its real story, that I have begun this blog. And it is in the spirit of telling the true story of the Tea Party that I intend this blog to be a beacon for weeding through the endless misinformation, maligned propaganda and amnesia that infects the American political climate today. This blog is meant as a finely crafted diction of non-nationalistic, grassroots, progressive dissent. And though not nationalistic, in the true spirit of what America really means.